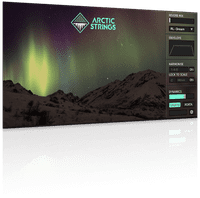 Arctic Strings - sustained strings samples of violins, violas, cellos and basses all in one patch. Customisable scripted legato, portamento and volume envelope and an inspiring interface that lights up with the northern lights as you play. Colourform - Atmospheric tones, pads and ambiences presented in a colour based interface. 12 sounds per patch, 19 core patches and 57 preset patches, a total of 76 .NKI files. 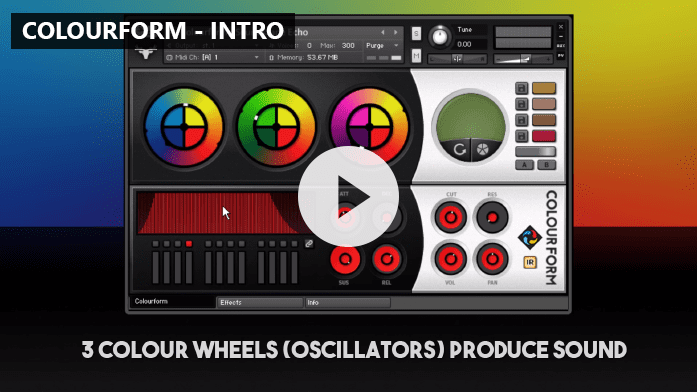 The interface features 3 colour wheels, as you blend the colours you create new sounds. The Chordophones - 6 layers of plucked and hammered strings. This library is capable of making medieval sounding dulcimer like tones, but also soft ambient plucked string sounds. Phoenix - 6 layers of smooth synth strings and choirs. 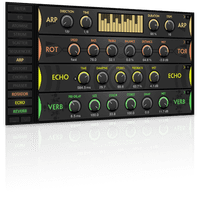 Features 2 LFOs that can be used to create movement in the sound. Terracotta - multisampled terracotta flowerpots which have a very nice bell-like tone. 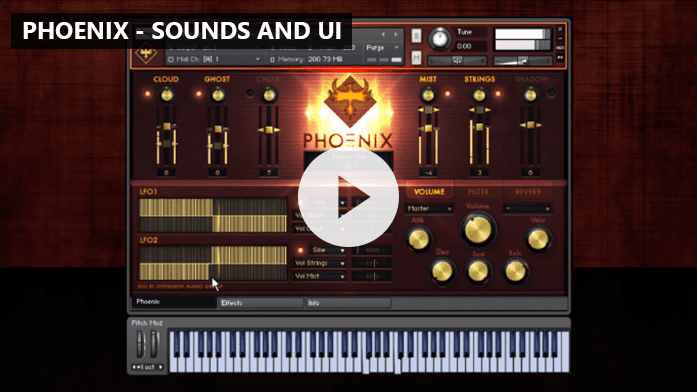 Features 7 layers of sound to mix in with the terracotta sound. This library is great as an unusual tonal percussion instrument. Dual Music Box - 2 multisampled music boxes and other sounds. 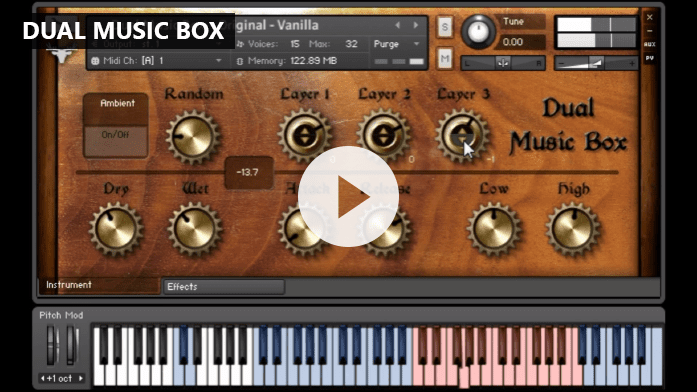 Dual Music Box is a realistic and customisable library that features a selection of extra sounds such as a glockenspiel or synth strings. Slow - contemporary ambient sounds and textures. This library excells at emotive ambient pads and textures inspired by Boards of Canada, Tim Hecker and others. With over 100 unique presets and an incredibly powerful interface, this library is a very powerful tool. 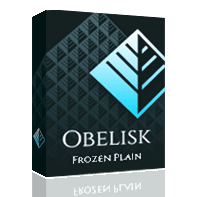 The FrozenPlain Effects Engine 2.0 is a powerful effects rack built into FrozenPlain products. 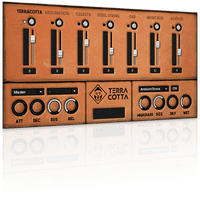 It features 13 effects including the standards: reverb, echo, chorus, filter, but also some unique tools such as the arpeggiator, sequencer, strum or the atomiser. Using the Atomise and Scatter effects, you granulise the samples like you would in a granular synth. 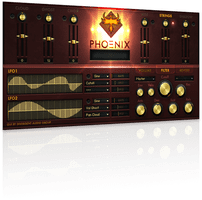 This effects engine is featured in the following FrozenPlain libraries: Arctic Strings, Terracotta, Phoenix, The Chordophones and Colourform. 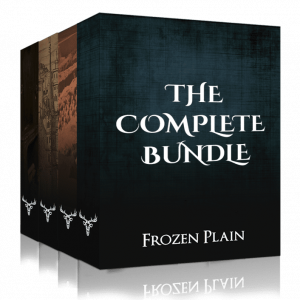 Libraries in the Complete Bundle often originate from unusual and unexpected sources. 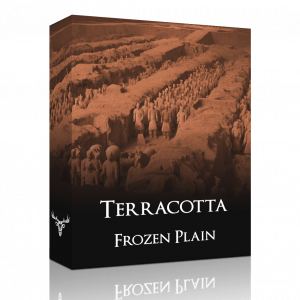 For example, Terracotta explores the sounds of terracotta flowerpots, which surprisingly have a very pleasing bell-like tone. 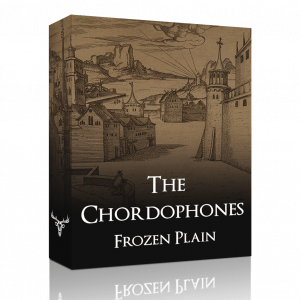 Or The Chordophones which features the sound of strings hammered with pencils. Colourform is also made from unexpected sounds such as pitch forks, spanners, rain and thunder and more. Having a wide variety of customisable sounds will allow you to stand out from the crowd. 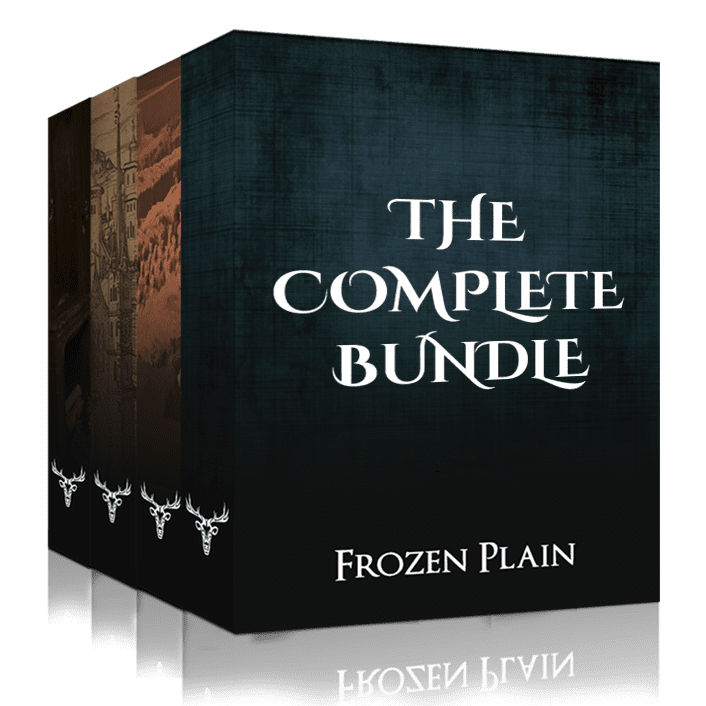 Great attention has been put into the design and style of FrozenPlain libraries. Nothing kills inspiration faster than getting bogged down with clunky controls. You are guaranteed a slick and consistent experience with the UIs here. Sometimes the graphics are directly related to the sounds. 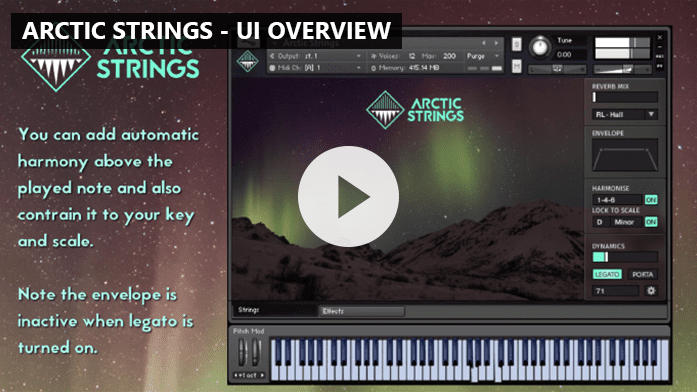 For example, the interface of Arctic Strings draws a direct link between visuals and sounds - as you play the strings the interface lights up with the northern lights. Similarly, Colourform uses colours to blend the sounds resulting in a very unique audio experience. 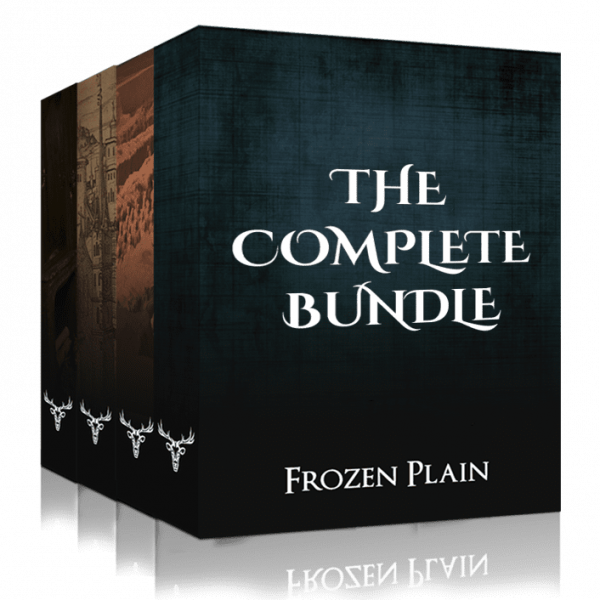 The Complete Bundle requires the full paid version of Kontakt 5.5 or above. It will not work in the free Kontakt Player. To use these libraries, drag the .nki files into Kontakt or use the file browser. The ‘add library’ will not work.